MaryBeth Schade, M.A, N.D. is an International Intuitive, Evidential Medium and Holistic Wellness Practitioner. She combines her natural claircognizance (clear knowing) and medical intuition with her forty years experience as a Medical Speech Pathologist &Voice Coach with her Masters in Communication Disorders and a Doctorate in Naturopathy. She will be sharing her near-death encounters and the impact on her life today. 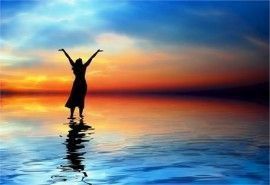 As a “survival evidence Medium,” who has, herself, had three near-death experiences, she provides unique, detailed messages from the “Other Side”. It is her great honor and joy to help reunite you and your loved ones, both human and pets, giving you a chance to share once again. 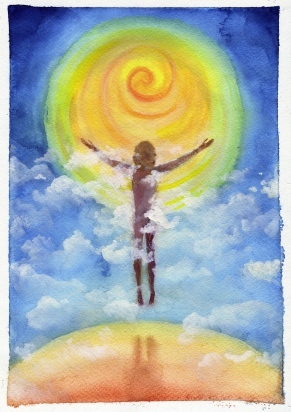 She is able to see energy patterns of our “core wounds” and provide answers about how we are holding or blocking the body’s natural ability for healing while offering strategies to assist the healing process. 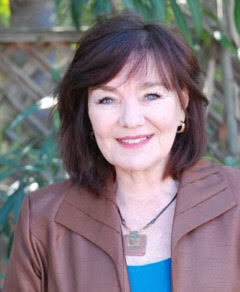 During her versatile career, she has professionally worked with many cognitive – language losses such as Brain Injury, Hard of Hearing, Stroke and as a Community College instructor on the east & west coasts, voice coach with entertainment celebrities such as Lorne Greene of Bonanza, and done readings for James Van Praagh, Medium, TV and radio personalities and many others. She enjoys frequent opportunities to bring through evidential details from many deceased or missing persons for the FBI/police and unsolved murder investigations for families and worked with Victim Rights Attorneys. A particularly uplifting part of her work is providing information for tour groups visiting historic castles and sites in China Belgium, Scotland, and England. Language is no barrier to these communications. Her favorite “conversations” are shared in her upcoming book, have been with the 19th-century writer, poet, Edgar Allan Poe of “The Raven” fame. These fascinating conversations came through using a technique she teaches called Automatic Writing. Born and raised in Albany, NY, MB first exhibited psychic abilities as a kindergartner. Oldest of seven children, reared in a Catholic household, she maintained a normal childhood and her abilities remained dormant. It was during the course of her forty-year career as a Speech and Hearing specialist working with the deaf, stroke and brain injured patients that she developed her intuitive skills. After moving to California in 1979, she began and continues the daily practice of meditation and exploring all things Metaphysical with her 94-year-old mentor. She offers healing messages and improved sense of well-being to her clients. Her special interests and workshops include Automatic/Inspirational Writing, Mediumship, and Medical Intuition. *As a first-time visitor, she fascinated both tour groups and guides with cold readings of previously undiscovered, now documentable, information at Historic Scottish Edinburgh Castle. * Visiting California Medium – guest reader at Lily Dale Assembly. Established in 1879, Lily Dale has been the world’s largest center for spiritual development and the practice of the Spiritualism which endeavors to find the truth in all things and to live lives in accordance with that belief. * Guest Intuitive reader/lecturer at Glastonbury Abbey, England’s most sanctified spot in medieval times, site of King Arthur’s grave/Mists of Avalon, now a concentration of healers, teachers, therapists, and environmentalists. * Translations & Readings for the Longquan Buddhist Monastery, Beijing, China. After the encounter, MaryBeth will be offering Private Sessions. Sessions are for 20 minutes, and the investment is a discounted rate of $40.00. Previous PostPrevious Have you seen an NDE like this when a loved one was in process of passing over?